Many candidates want to turn to the film and television professions, but think they do not have - or can not acquire - the background necessary to integrate ESEC . A bad orientation to the Lycée, a desire repressed in favor of studies considered more classical, a passion that turns late into obvious necessity generate frustrations and generate a fear to present themselves to a serious selection. The preparatory year of ESEC is an educational accompaniment in various artistic and cultural fields. It has one goal: that the student understands what surrounds him, so that he chooses and retains what he needs to achieve personal projects. The working method makes it possible to acquire a good general artistic culture, an aesthetic reflection, a knowledge of the social world, a curiosity towards the other arts. A permanent accompaniment, in the respect of its choices and its ambitions, has for main goal to allow the student to discover and develop his unique skills. The work requested of the student is organized as a training in method and speed by the realization of observation sequences, speeches, individual presentations. The control of knowledge is permanent and interactive, individually with each teacher or within a group. Discovery of the French cinematheque, before premieres of feature films, visits to the Louvre Museum, Musée d'Orsay or Musée du Quai Branly accompanied by the Art History teacher: classes extend outside the school. The staging in the cinema was at first theatrical, the acting was initially choreographic since they did not speak, the musical dramaturgy was first shown at the Opera ... Moviegoers, you must also be of these founding arts; by return effect, you can only better understand your own pleasure of cinema. Several shows will be seen during the year (theater, dance or opera). The price of the seats is included in the tuition fees. The school year is organized into 3 semesters consisting of 9 weeks of classes (8 for the last semester) and 2 weeks reserved for exams, complementary courses, lectures and corrections. The program includes an average of 22 hours of weekly classes , plus accompanied outings (museums, exhibitions, shows), watching films in class, personal work and group work (folders, photo reports). Each course or practical work is subject to knowledge checks. Written examination tests at the end of the term. At the end of every trimester, the student receives a bulletin that includes the average mark of each course. This organization in three quarters allows a more regular follow-up of the evolution of the work of the students: the students who obtained the least average means or those who wish to make a point on their results, are received by the pedagogic manager. Cycle 1 is the multidisciplinary year common to all workshops. It allows each student to discover all the trades of the cinema before specializing in cycle 2. The first professionalization course is multidisciplinary. It alternates cultural, aesthetic, economic formations and technical and practical training. Shoots are organized in progressive phases that follow the normal process of a filmic creation. They occupy about two-thirds of the program. The objectives are to understand the technical and economic context in which films are made and - above all - to learn and master the rules of staging. Each course or practical work is subject to ongoing knowledge monitoring. These controls give rise to an individual rating and a group rating that applies in particular to shooting exercises. Through the analysis of excerpts taken in heritage cinema as in contemporary cinema, this course aims to dissect how issues of frames, issues of editing, issues of scenario or situations, match and fit together to give rise what is commonly called a "mise en scène". We also study how the forms used by filmmakers result from the transformation of other staging principles used before them, thus showing the importance of confronting each other's eyes to achieve even to do staging work. This course addresses the situation of French cinema from an economic point of view by presenting the main lines of its organization and operation. It sets the necessary benchmarks, from production to technology. It introduces the first notions of economy and organization of the cinematographic professions. By following the main steps of the process of producing and producing a feature film, the course highlights the methodological rules, the legal and technical constraints, from the writing of a script to the diffusion of the film . In the first quarter, presentation of training courses in cycle 1 and the bases of editing. Exploring the main principles: connections, rhythm and narration. First general presentation of Final Cut Pro editing software. In the second quarter, a first approach to editing sound. In the third quarter complement of aesthetic analysis applied in view of the end-of-year film: music and soundscape. These courses, in connection with the first TP, explain on the basis of film extracts, how the technical means are implemented to achieve the result visible and audible on the screen. Sound: History of sound techniques and evolution of theatrical diffusion, visual representation of sound, composition elements of a film soundtrack, sound physics, auditory perception, technical tools (recording, editing, mixing, and peripheral tools ) and their application. The course provides the theoretical foundation for video: The principles of color image reproduction, TV and movie cameras, video and computer storage media, analog and digital video signals. What are the main aesthetic trends, the recurrent motifs, the themes of today's cinema? What has been the influence of the political, economic, social, technological context of the past 15 years on production? What has become of classicism, modernity, post-modernity? Does the current cinema continue to reinvent itself? Is it still relevant today to talk about "auteur film" and "genre film"? Based on the analysis of sequences, we will try to answer these questions in order to establish a "state of play" of cinema since the year 2000. If we want to talk about auteur cinema then we should say that there are as many cinemas as there are authors and talk about "cinemas of authors". One can then doubt the meaning to maintain this expression ... From this proposition, are analyzed the paradoxes of the policy of the authors. 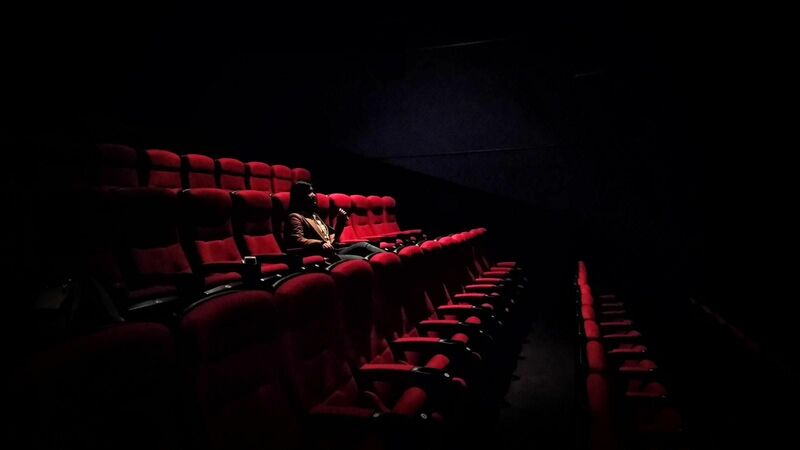 What happens when the cinema goes off the rails? If the cinema was based very early on the rules of dramaturgy very precise, it very quickly understood all the potential comic, spectacular, political or even anxiety to play with its own codes. Reel that does not turn round, rupture of fiction, addresses to the public, aberrations of the narrative, untimely parodies, all these "controlled slippages" demonstrate how the understanding of the position of the viewer and his gaze quickly became a given inherent in filmic creation. We will navigate the example of "derailments" as so many ways of thinking the art of staging as an art of connivance. The preparation of a film shoot (as well as the shooting itself) implements a large number of professional procedures entrusted to a large number of collaborators. For the shooting of end of first year, the most important are here indexed and explained so that the students can apply them with all the professional rigor necessary during the preparation of their films. This program allows students to acquire and master methodological tools and a reflection on the staging and writing of the script. They are an opportunity to deepen practically the mastery of the cinematographic language, to concretize technically and aesthetically the creative expression. Research, analysis, observation, curiosity, comparison, as well as the rigor of a planned organization of work are, among other things, so many simple - but unavoidable - instruments that allow creation to take shape and to speak. The short film is a must for both directors and technicians or novice actors. After a presentation of the situation and the functioning of the short film in France today, we study, from the viewing and the analysis of a film, the production process and the means implemented for the realization of a short film in professional conditions. What are you looking at and why? The grids of the programs of the big French television channels speak to us of the delicate balance between production, programming and diffusion. But old-fashioned television is living its last hours. By comparing the major channels with those of TNT and cable, this course aims to study the changes in editorial policy, multimedia development strategies, programming choices. And to unveil the mechanisms that will preside over tomorrow's TV. Documentary cinema, or cinema of the real, is a particular form of writing and cinematographic direction. This narrative form exploits and traverses aesthetic, political and social fields. It differs from reporting in its reflection and writing. This course introduces the great historical and contemporary forms of documentary. To what extent has the advent of digital technology influenced the practice of staging? 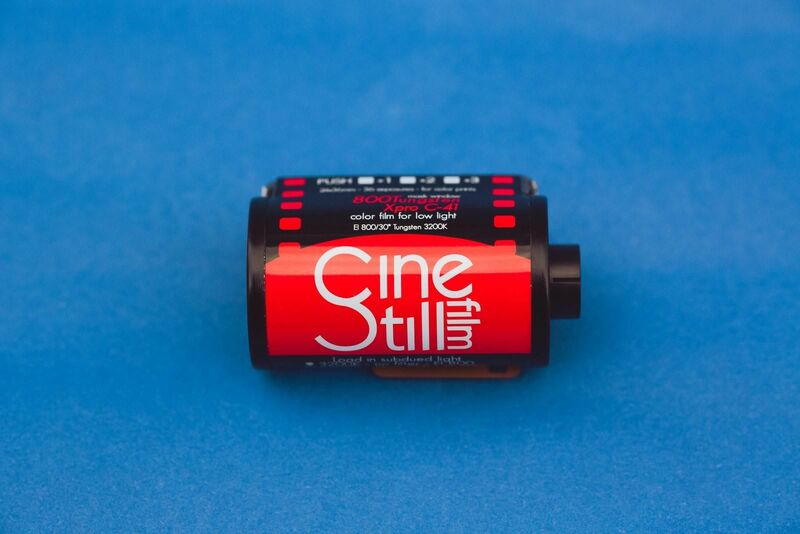 Whether it's the big Hollywood productions or small-camera hand-made films, digital technology has pushed the logic that technological developments, since the invention of cinema, have profoundly transformed not only the practice cinema but also the form of the films. Students produce and edit short subjects using means and ideas of staging, shooting and sound recording materials, lighting. The first level is an introduction to the school's professional materials in the context of technical shooting and post-production exercises, with a first approach to digital editing on the Final Cut Pro software. It's a question of knowing how to realize, then to mount, a few minutes of images and sounds in a professional way. In addition, 6 shootings are organized in the year, inside and outside and with actors, according to a growing order of technical, practical and aesthetic difficulties. These exercises cover two-thirds of the first year training and train to the know-how of the realization. The end-of-the-year film closes this apprenticeship in technique and staging. This realization is the point towards which converge all the aesthetic, technical and practical lessons of cycle 1. It's about making a team of 8 minutes. On an imposed theme, the teams work on the proposal and then on the design of a scenario. Then, the students develop a breakdown, organize their casting and prepare the technical pre-production. Finally, they turn their film, mount it, and make the premix. All these steps are followed in advance for eight weeks by both the script and staging methodology teachers and the technical managers. The teachers are responsible for helping the students in their reflection, to accompany them in their thematic research, to develop their creativity, to develop with them the best possible scenario. The technical department is in charge of controlling the technical specifications and helping students to find the best answer to the organizational problems that such shooting implies. In Cycle 2, students specialize in one of the five departments of the School: Direction, Production-Distribution, Scenario, Documentary, or Montage-Special Effects. The work of the Realization and Documentary workshops ends with filming, in association with the Screenwriting and Editing workshops. The work of the Screenwriting, Production and Distribution workshops concludes with the constitution of preliminary drafts of feature films or television series. Professional integration courses are provided by the school to all students. They are compulsory for the validation of the diploma in the Workshops Realization, Production Distribution, and Scenario. This program teaches, by practice, the work of the first assistant director, the definition of his role within the technical team during the preparation and filming of the film. He explains the methods and stages of the work: analysis of the scenario, work plan, location, casting, service sheets. Case study: Work by workshop on a feature film script, from reading the script to finalizing the work plan. This program offers a very practical first approach to the scenario. This program proposes to explore, from an existing documentary film, the various stages of work that the documentary assistant director is required to participate. With the aim of producing a short sequence of this documentary, he explains the methods and stages of the work: decryption of the project, investigation, identification, preparation of interviews, filming, logging. The workshop ends with the viewing of the various works produced by the students as well as the screening of the initial documentary in the presence of the director. In addition to the Photoshop, Final Cut Pro and After Effects programs, this course is divided into three parts: the art of gaze (the still image), the art of space and time (editing), and the the art of fake, so as to develop a critical look at artistic works and thus open the technical practice of a tool to an aesthetic dimension. These courses are followed by practical work to prepare a presentation in pictures.